A fire hose reel is designed to counter fire in its earlier stages. Generally, a fire hose reel can extend up to thirty-five meters and it is connected to the main water supply. Therefore, it has virtually unlimited water supply to curb a fire. It is simple to use and any person can use it (with basic training or know how) in case a fire breaks out. However, using it on fires generated due to electrical malfunction will lead to electrocution. So, do not use it on electrical fires! Another imperative factoris to invest in regular fire hose reel testingso that any malfunction can be avoided in hazardous situations. It is unlikely that a person will have to encounter such disastrous situations. Nonetheless, every occupant of a building should be told the position of a fire hose reel as well as its operating procedure, to be prepared for the worst-case scenario. 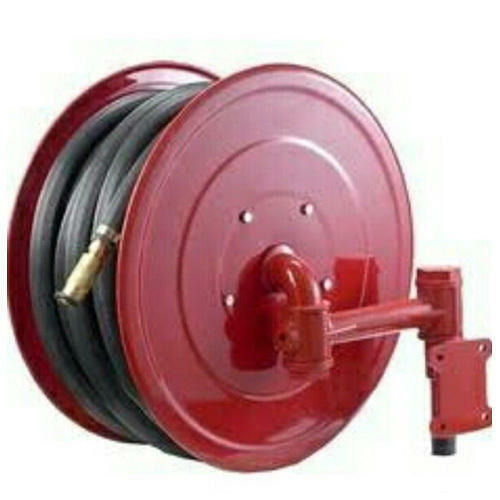 A fire hose reel should be used only on class-A fires (caused by wood, plastics, rubber, etc.). Use it only on immediate fires (small) that can be distinguished easily. If the fire has gotten out of hands, everyone should evacuate the vicinity immediately. Only those familiar with it should use it. People who do not know proper operational measures should avoid using it to prevent accidents. As soon as the fire breaks out, notify everyone. If there is an alarm system, activate it before doing anything else. Make sure everyone in the building knows the fire brigade number. Immediately notify the fire brigade in case of fire. Before even thinking about using the fire hose reel, one should make sure exactly what the fire is caused by. Check if the nozzle is operating correctly before proceeding in action. It means that you will have to check the nozzle valve. Keep it in a closed position until you reach the area where the fire is situated. Two people should use the fire hose reel. One who holds and maneuvers the nozzle and the other who makes sure that the hose freely runs through the reel. The latter should confirm that the hose does not get stuck around corners. It is also vital to ensure that the water inlet is turned on before proceeding to the hazardous area. This lever will be at the base of the hose reel. Therefore, open it before taking the nozzle out. Once all the precautions are made and the valves as well as the reels are checked, get to the area where the fire broke out. The reel will automatically unwind when the hose is pulled. You should direct the water stream at the base of the fire. You should keep a safe distance from the fire as well. Immediately evacuate the building if the fire keeps on increasing and if it has reached a point where you feel unable to extinguish it. Close all the fire doors behind you while doing so. Ensure regular fire hose reel testing.Check for flow, leakage, nozzle, and damage every six months.Check for anchor points, damage in bearings, and hose guide and fitting every year.